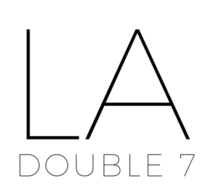 Kimonos – LA Double 7, Inc. This timeless beige poncho wrap features chevron and striped patterns throughout. Created with a women acrylic fabric, resulting in a textured warm material. Small fringed edges complete this look. As the weather becomes cool, layering becomes a must. Layer this ruana wrap poncho for added warmth and style! Look chic in our sheer floral kimono, perfect for the spring and summer seasons. Composed of a soft, light polyester yarn, creating a material that is airy and suitable for layering in warm weather. Features hanging tassels along the edges. Drape this fashion accessory over bathing suits, sundresses, or shorts! Comes in black, red, and pink. Striped accessories are classic pieces for any wardrobe collection. Our timeless black striped poncho wrap has a ruana-style cut for ultimate comfort. Tassels detail the edges of this semi-thick wrap, which feels warm and cozy to the touch, mimicking an expensive fabric. With endless ways to wear it, drape yourself in our classic striped poncho throughout the seasons. Pair this knit maxi cardigan with your outfit of the day for optimal style! Woven from the softest polyester/viscose yarns to create a luxurious knit material. Perfect for any season as an addition to your outfit, this cute cardigan comes in black or beige, two colors that can be paired with virtually anything. Create a boho look with denim, or wear over a mini dress for added style. A perfect pick for warm summer days, this fashionable striped kimono can be worn with casual outfits or as a cover-up to the pool or beach! It is super lightweight, soft, and airy. Add color and style to any look by draping this multi-blue toned wrap. Semi-sheer material comprised of lightweight polyester fibers, creating a breathable and summer-suitable fabric. Drape this maxi kimono over swimsuits, dresses, or shorts ensembles! Long navy tassels embellish the hem, offering a cool boho-chic look. Channel your inner fashionista by draping this multi-blue toned kimono wrap over your outfit of the day! An ultra-soft polyester material combined with a ruana-style cut, this accessory is perfect for layering in the warm seasons. Breathable and light-weight, pair this with your bikini, denim, or dress looks! Add a floral flair to your outfit of the day with this kimono wrap! The colorful floral pattern overlays a white tone, creating the perfect contrast. Ideal for layering, this lightweight, open-front kimono can take your T-shirt and jeans to the next level, or you can layer this piece over your favorite little black dress for a flirty, feminine twist. Always make an entrance with this floral maxi kimono! Composed of a lightweight, woven polyester fabric, which offers a super-smooth, silky feel. A floral print and tassel trim adds feminine details to an open front floral maxi kimono. Layer over a bathing suit, or t-shirt and jeans for maximum style. Available in navy and pink tones. Get our signature over-sized cover-up for this season. We love the geo pattern print and details for this lightweight and soft tasseled kimono. It is easy to wear in transition season and pair with boots, simple but chic! Stay warm and stylish in this fashionable fringe poncho wrap scarf! Perfect for adding some style to your everyday outfit. Details include an open flyaway front, asymmetrical tassel hem and arm-length poncho sleeves. Created with wool-like fabric for extra warmth and elegance. Polka dots add fun to any outfit! A comfortable and stylish layer accessory, our polka dot poncho is a practical wrap that offers a draped aesthetic. Small fringe decorates the hem of this accessory. Comprised of a knitted acrylic/polyester blend fabric, to create a cozy and soft feel. Wrap it up! Knit acrylic makes our poncho wrap a toasty cover and so much fun to wear. Perfect for the cooler season, this khaki leopard-print wrap/poncho is one accessory you need for your closet. The neutral colors make this piece a versatile outfit addition throughout the years. Gentle tassels edge a luscious, cozy ruana infused with knitted fibers for a stunning drape. Wrap this fashionable and chic black ruana around your daily outfit for added style. Layering is a must during the cooler weather, and cover-ups are a great way to accessorize! Stripes in various sizes adorn this ruana wrap comprised of soft acrylic fibers. This casual accessory wrap is perfect for layering over your outfit of the day for a touch of style! Available in two stylish neutral shades, suitable for wearing with multiple looks. Simply drape this lightweight ruana wrap over your shoulders and enjoy its ease and effortless style, in purple or brown shades. Outlined with 4-inch tassels along the hem to create a bohemian-western style. Composed of cozy, lightweight viscose fibers, creating a material that is perfect for summer wear. Feel like your outfit is missing something? Just add this lightweight striped kimono wrap over a tank paired with denim! Features a boho, breezy cotton blend fabric with hanging tassels along the hem. With the striped pattern design, this short-sleeve kimono makes the perfect layering accessory to pair with multiple looks. Add a classic edge to your everyday looks with this striped wrap! Add a fun floral flair to your outfit with this summery kimono! Composed of an airy polyester fabric, this kimono is suitable for accessorizing looks in warm weather. Perfect for layering, this lightweight, open-front kimono features ruana open-sleeves and a delicate, floral pattern. Take our vintage-styled floral kimono from the festival season to sunny beaches! Gauzy, lightweight polyester fabric with a feminine floral pattern throughout. This open front kimono is constructed with ruana-style side slits for sleeves. Layer this fashionable accessory to your look for added boho-style! This floral kimono features a beautifully flowy silhouette that’ll provide you with a flattering, comfy fit. Meet your style goals by adding an extra oomph to your outfit with this pretty kimono wrap. Spruce up any simple outfit with this layering accessory! Composed of lightweight polyester fabric for wear in warm weather.